This is how we started – Matt and Dave in a basement rehearsal space, making a show to perform in the back of a Cincinnati coffee shop. The Absurdity of Writing Poetry is not just Available Light’s first creation, it is also our thesis statement and manifesto. 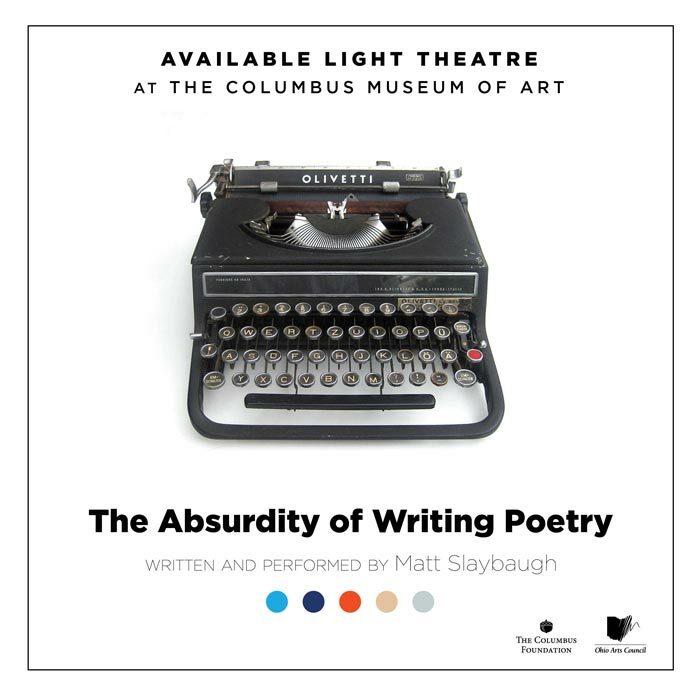 Just in time for its Ten Year Anniversary, Available Light’s first production – featuring a rare performance by AVLT’s founder, Matt Slaybaugh – returns to Columbus. This sixty minute solo performance – about making art, not making art, and the challenges of both – over-flows with philosophy, physicality, a small taste of hip-hop, and, of course, poetry. There will be a casual, post-show conversation with Matt after this performance.